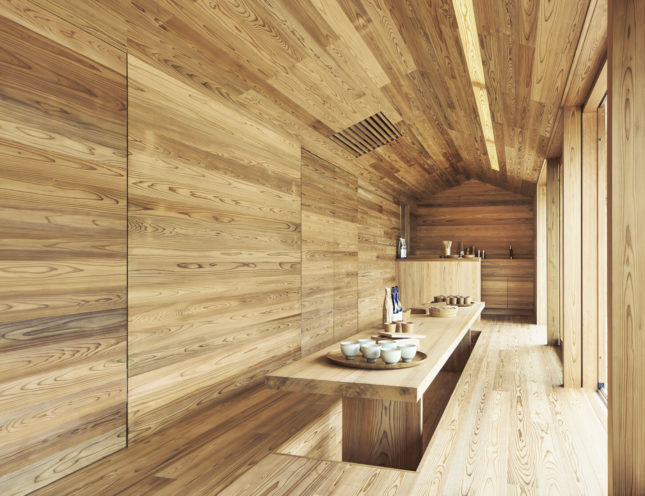 Airbnb’s newly announced design studio, Samara, worked with Tokyo-based architect Go Hasegawa to create the Yoshino Cedar House for Japanese designer Kenya Hara’s exhibition, House Vision 2016. Hara invited Airbnb, among other companies to participate in the exhibition to re-envision the future of housing. 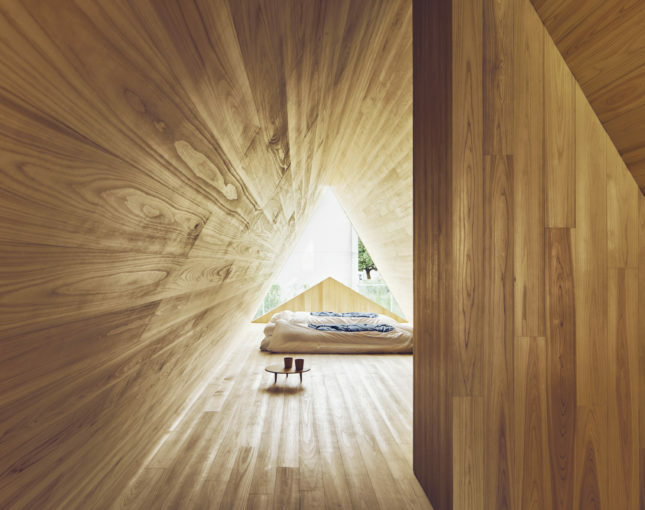 Hasegawa and Airbnb created a rentable apartment that also serves as a community hub. A small Japanese village, Yoshino, donated land and offered resources for the project. The structure will be owned by the community so that “the community is the host,” Airbnb cofounder and CPO Joe Gebbia told AN. The entire village benefits from the proceeds of the rent, which will hopefully help revitalize the local economy. It is, in a sense, taking the shared economy structure to the next level. 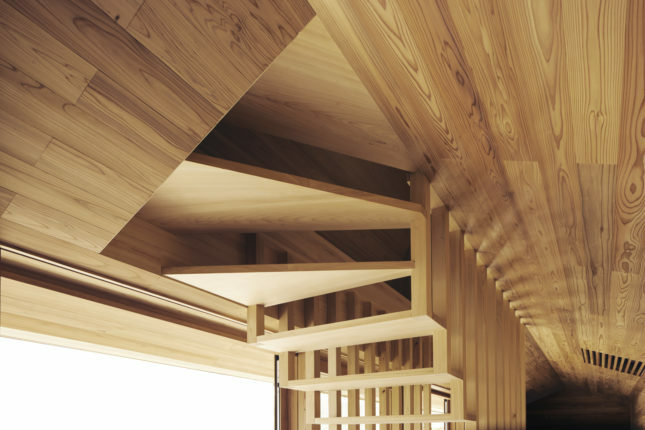 For the Yoshino House, Hasegawa selected local cedar wood as the main material used indoors and out. 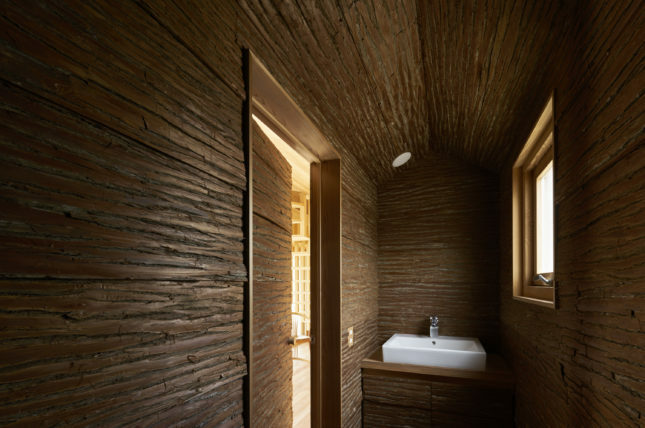 The trees were felled and treated by local woodsmen and carpenters, so Yoshino’s heritage and aesthetic is woven into the entire process. The first floor will be open to the entire community, while the upper floor can be rented out to overnight guests. According to Gebbia, “the local experience benefits the visitors, while the community can feel pride in that it has to offer. Increasingly, travelers are drawn to unique experiences outside the normal tourist gamut of cities and structures. While small, Yoshino boasts a small-batch sake factory, a chopstick factory, and an incredible leaf display in the fall. The hope is for a second economy to spring up around the visitors, with locally led tours and sake tastings, and other experiences. 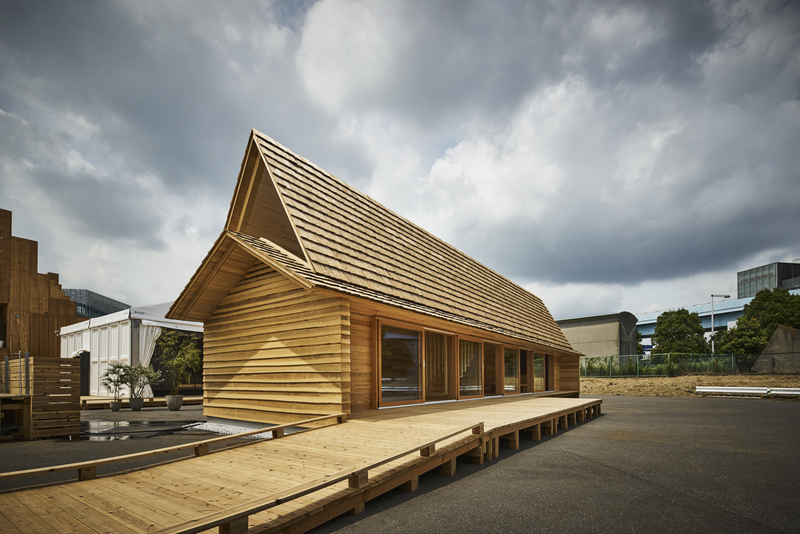 After the exhibition is over, the Yoshino House will be moved to a riverside location and registered on Airbnb as a listing. To learn more about the benefits to the community and Gebbia’s thoughts on the future of housing and Airbnb, check out our exclusive interview with Gebbia.